This example is unusual in many respects. 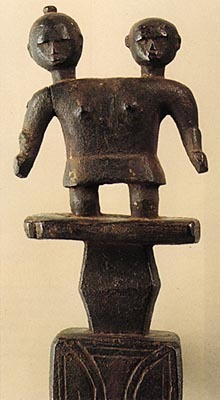 The instrument is large and the body is elaborately rendered in an abstract anthropomorphic form. The finial of the peg box is a strange two-headed figure.